First stop today was a return visit to the Palais Garnier to see the auditorium that was closed when we took a guided tour earlier. 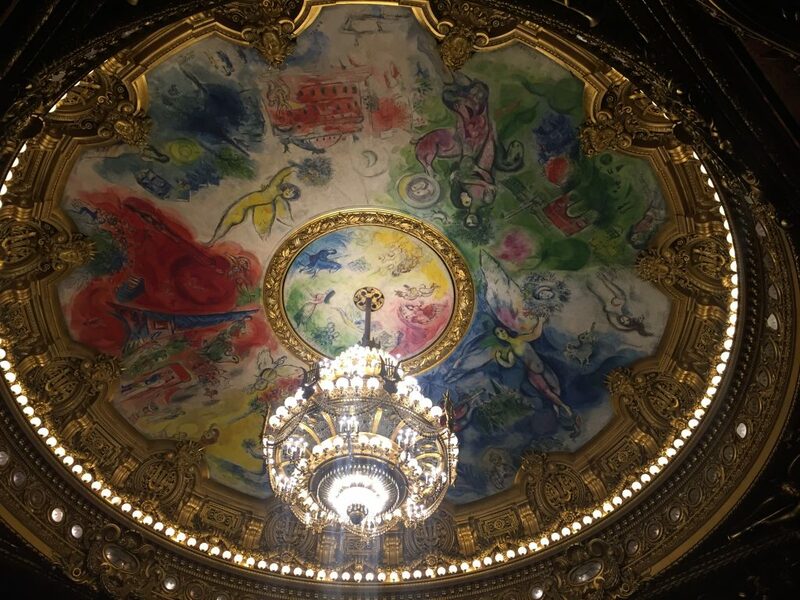 We especially wanted to see the Marc Chagall ceiling. Completed in 1964, the beautiful ceiling was controversial at first because it was replacing the original ceiling and was in a contemporary style unlike the rest of the 19th century building. 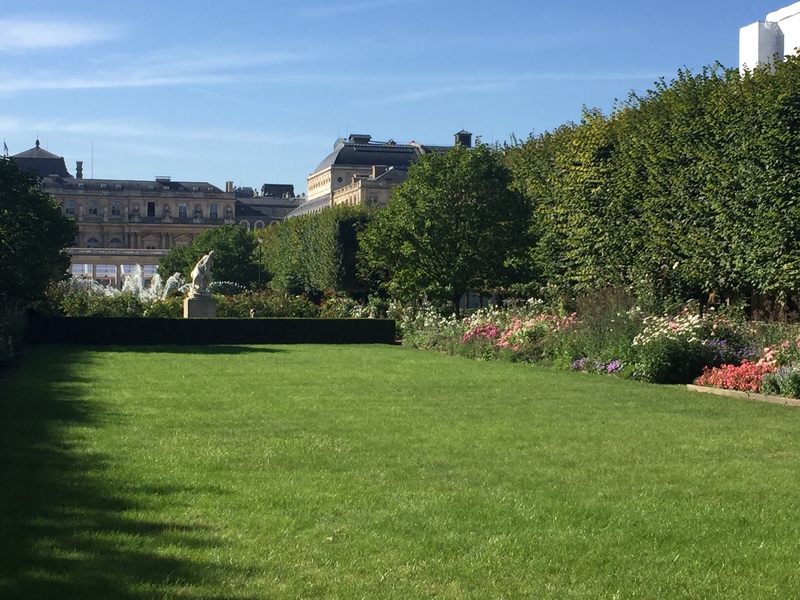 Our next stop was the lovely Palais-Royal Garden, created in 1633 for Cardinal Richelieu, King Louis XIII’s chief minister. The two long central gardens are bordered by flower gardens designed by American Mark Rudkin. 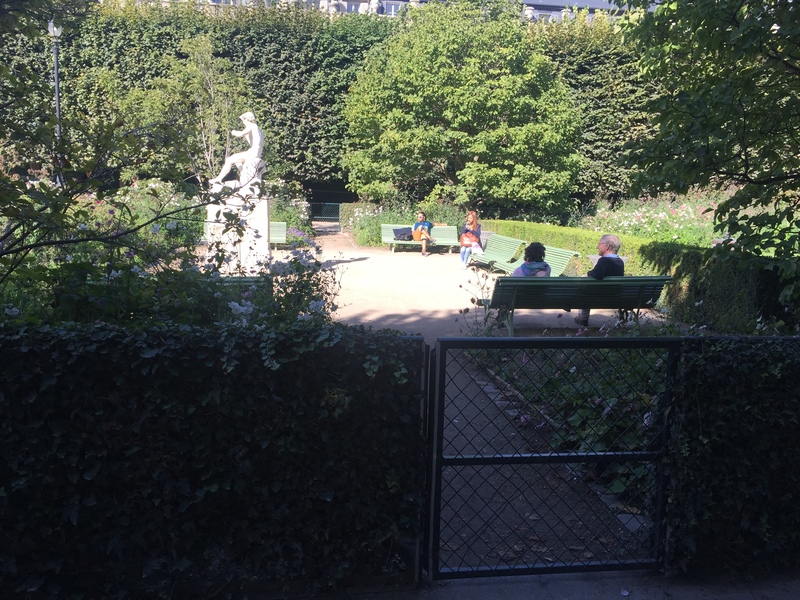 The long gardens are fenced off, but sitting areas with benches are at each end of the gardens. 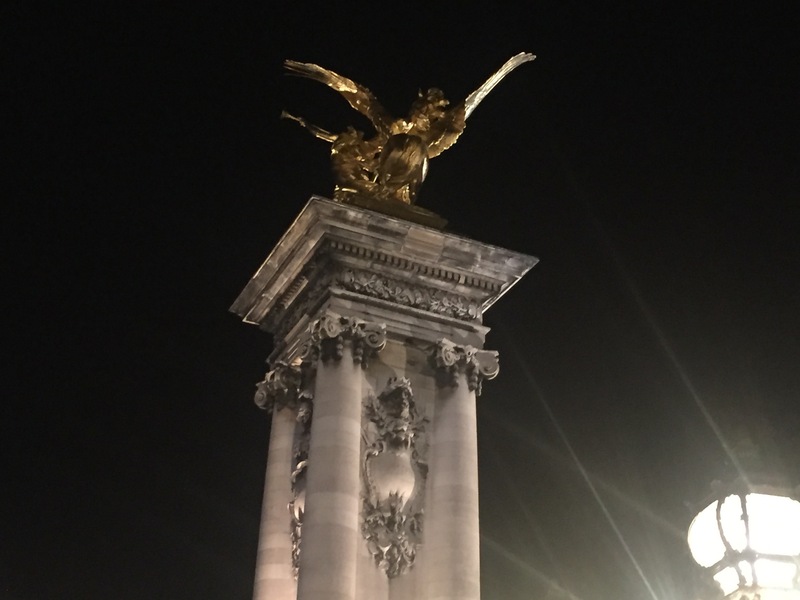 Crosswalks on Parisian streets are marked with wide white lines, and some have crossing lights. We think cars are supposed to yield to pedestrians in the crosswalks when there are no crossing lights, but we aren’t sure and always make sure the way is clear before we cross. This morning as we were crossing a road with a large group of people, a car sped up, changed lanes and looked as if it would have hit us if we hadn’t run the rest of the way across the road. We heard a loud whistle, turned around and saw a police officer wave the offending car over to the side of the road. 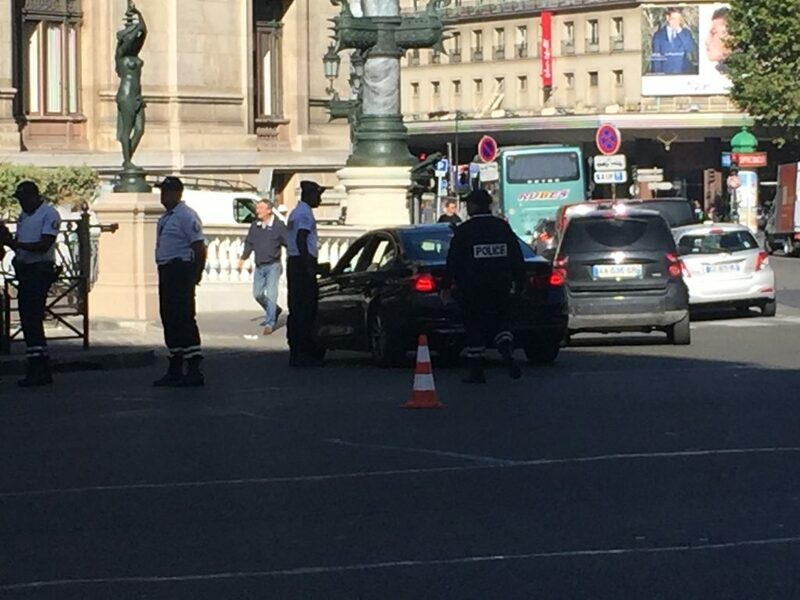 The driver had to get out of his car, and as we walked on, he was still detained by the officers. I was pretty impressed with how the police handled this situation. The Musee Picasso was closed for renovation the last we were in Paris, so we were excited that it was now open. 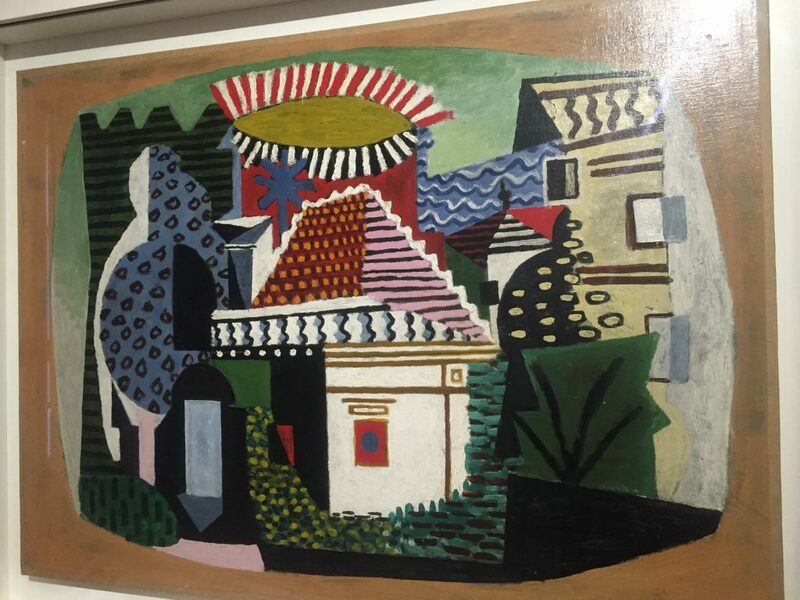 When Picasso died in 1973 art work in his own collection was donated to the French government as payment for the inheritance tax on his estate and is the foundation for this museum. 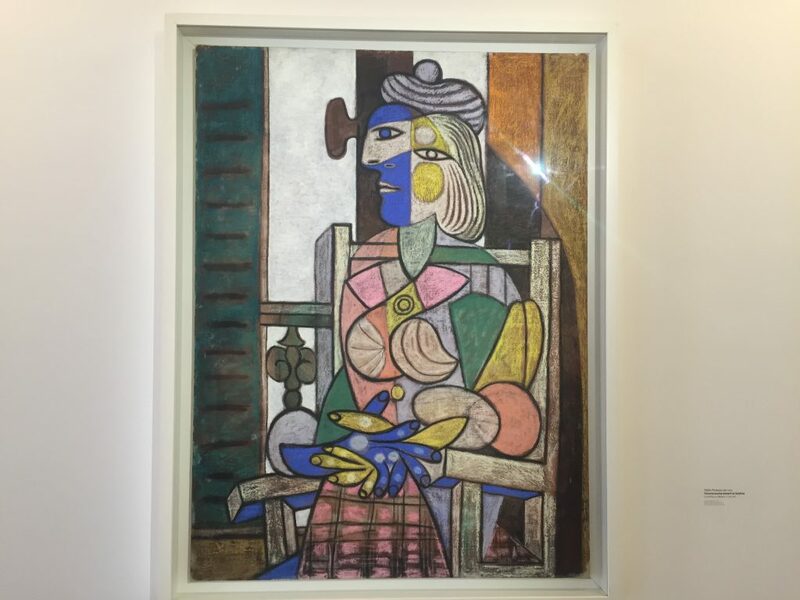 The museum did an excellent job of chronologically presenting Picasso’s work and the influences on him. 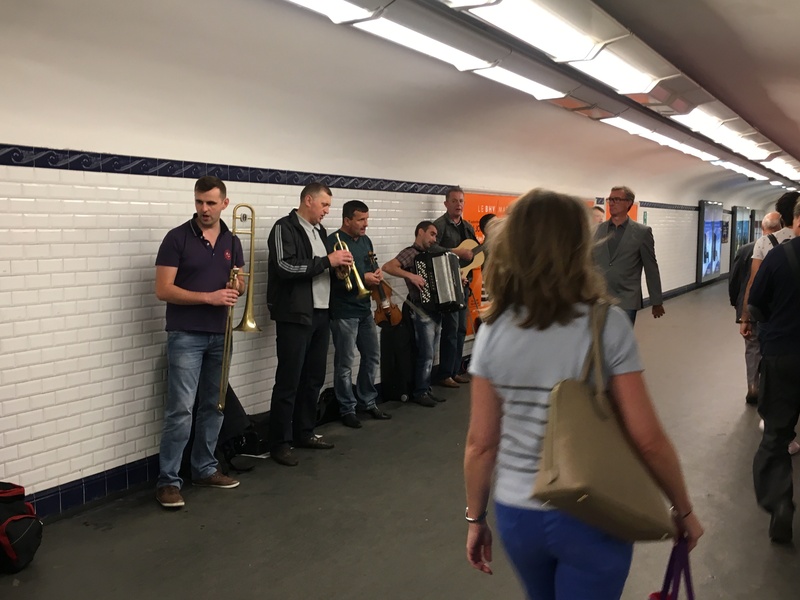 We enjoy the musicians that play in the metro stations and try to make sure to have change with us so we can show our appreciation. Today we saw the biggest group ever. I think their peppy music made everyone walk a little lighter and smile a little more. 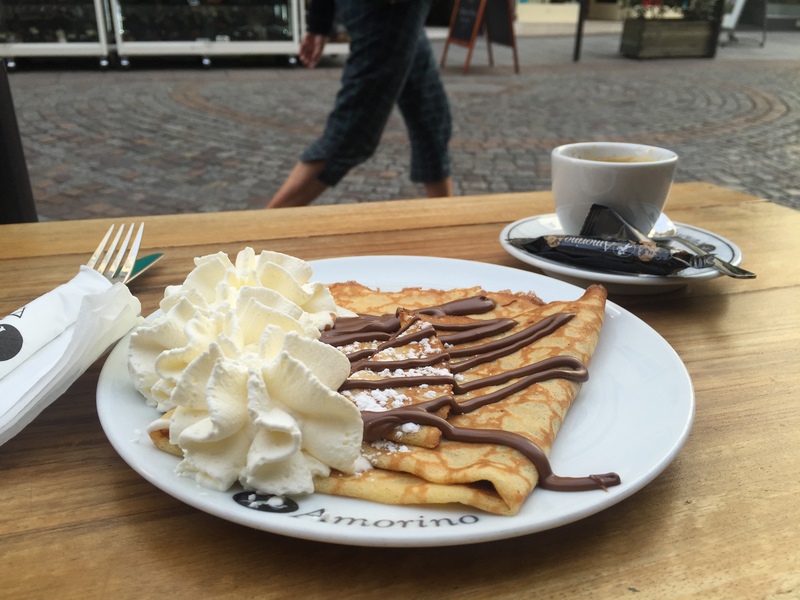 Can’t believe I have been in Paris for over a week and am having my first crepe today. 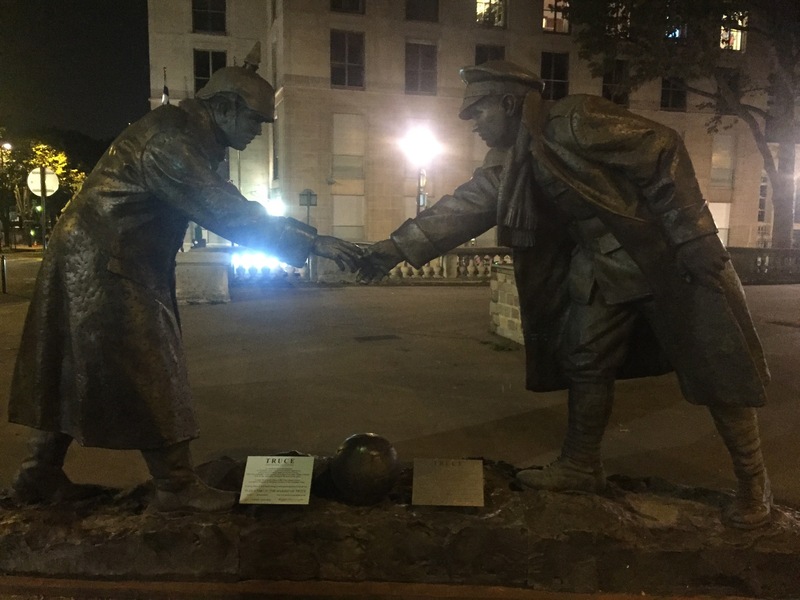 Replica of statue commemorating Christmas 1914 cease fire. 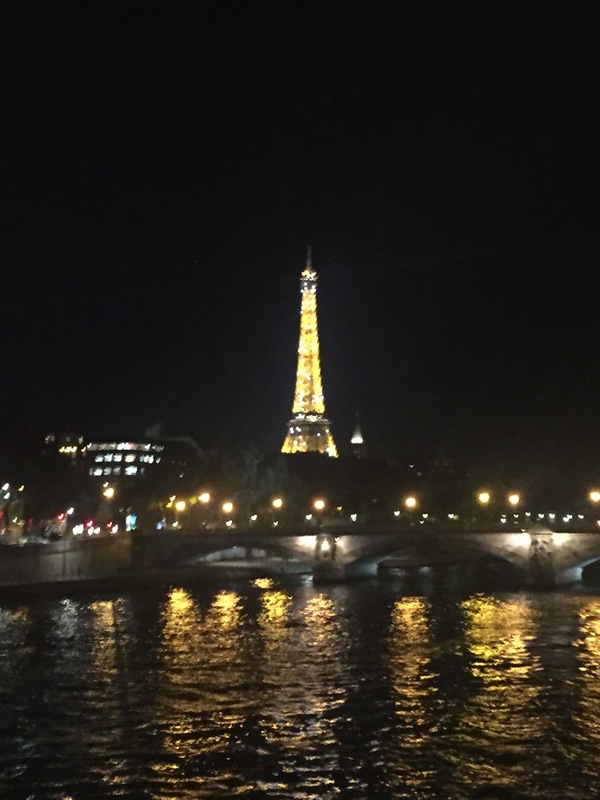 This entry was posted in Amsterdam, Bruges, Paris 2016 on September 27, 2016 by debbie.